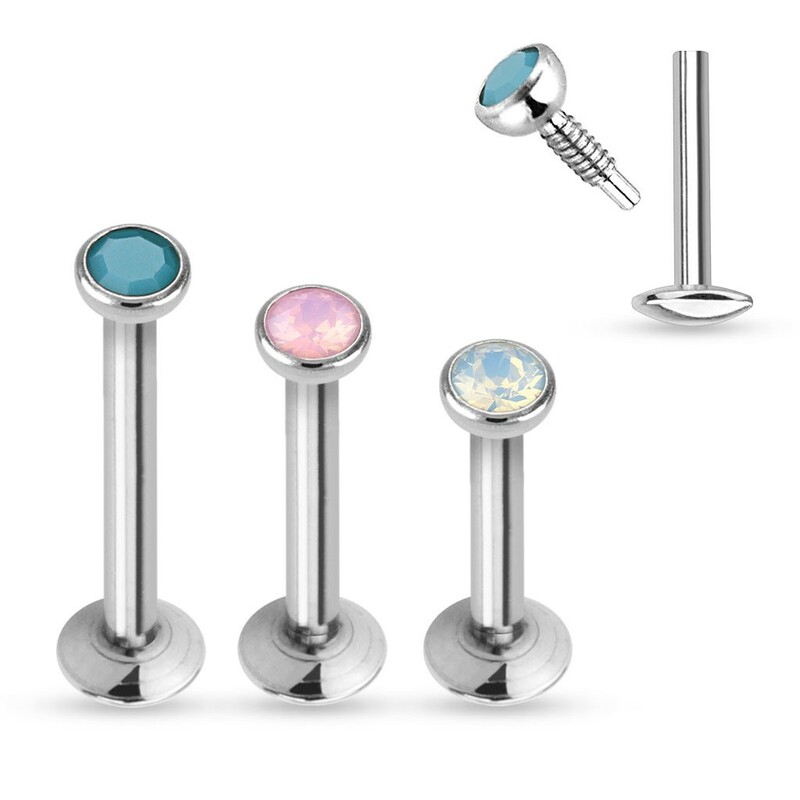 This labret is made of 316L surgical steel and is internally threaded with press fit making the top easy to place and remove. The top carries an Opal stone which is known for its deep color. The Opal stone does not have a very strong glimmer but draws its strength out of its color. 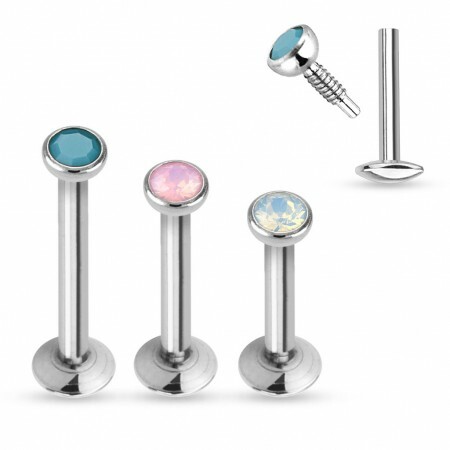 Beautiful labret stud and the fit is perfect, good quality stud. It’s a must have, and it’s easy to fit , which means I can change my piercing more often as this stud is quick & easy to fit , My favourite at the moment.